Commercial dumpsters for contractors & commercial clients, professional. We offer professional dumpster services for commercial job-sites. From build-out projects to major post construction site clean-ups, gotTRASH has you covered! Contact us for full service, on-site, on demand commercial dumpster services. Is your business tired of dealing with big companies that treat you like just another customer? Never settle for less than exceptional service! Our gotTRASH? experts will provide professional service each and every day. 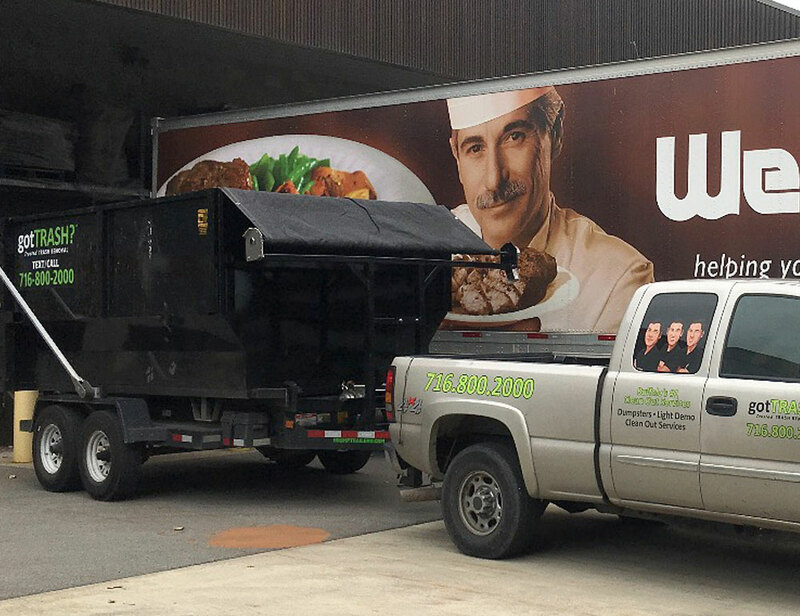 As the most trusted name in Western New York, we tailor our commercial dumpster services to meet your specific needs. Give us call to learn more.